The water contamination crisis in Flint, Michigan, was first exposed publicly when pediatrician Dr. Mona Hanna-Attisha held a news conference addressing the alarming levels of lead she and her colleagues were seeing in patients' blood. The Centers for Disease Control and the American Academy of Pediatrics (AAP) worked together to recognize the link between the rise in Zika cases and microcephaly in infants. In California, after a measles outbreak at Disneyland between December 2014 and February 2015, hundreds of pediatricians and other health professionals worked to enact legislation mandating all children be vaccinated on school entry. Such instances – in which pediatricians identify a potentially widespread issue and work to get the word out – are pivotal to improving the health of the public, says a new policy statement published by the AAP. That's why lead author Dr. Alice Kuo, chief of UCLA Medicine-Pediatrics, and her co-authors are calling for pediatricians and public health professionals to collaborate more with one another. 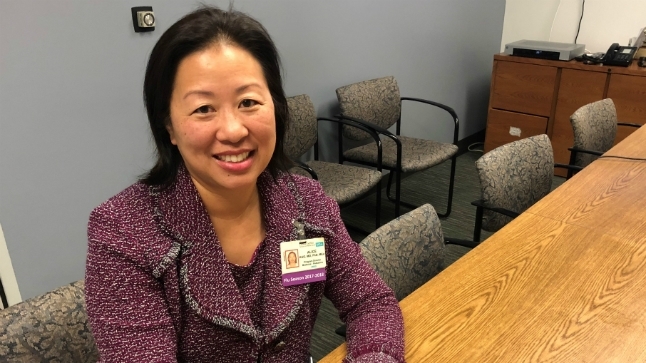 "During patient office visits, pediatricians are attending to the health of the community on the front line," Kuo says. "When there are emerging threats to child health, pediatricians can draw attention to these issues first." The policy statement, published in the February 2018 issue of Pediatrics, underscores how the health of communities improve when pediatricians involve themselves with public health and policy. "Pediatricians should advocate for children and families outside the doctor's office," Kuo says. "Together with public health professionals and policy makers, we need to address child health at both the individual and population levels so that children can grow up to realize their full potential." Kuo's aim with the policy statement is two-fold: to raise awareness among pediatricians of the need and value of collaborating with public health professionals, and to make the case for population health. Although the time constraints and obligations facing pediatricians are numerous, so are the public health benefits of information sharing and collaboration between clinicians and policy makers. "Policy makers want to hear on-the-ground stories in order to make decisions affecting the health of their communities," Kuo says. "And when pediatricians show up, people listen."